Pakistan stock exchange is still trading in negative zones. KSE 100 index decreased by 86 points at the beginning of the business. 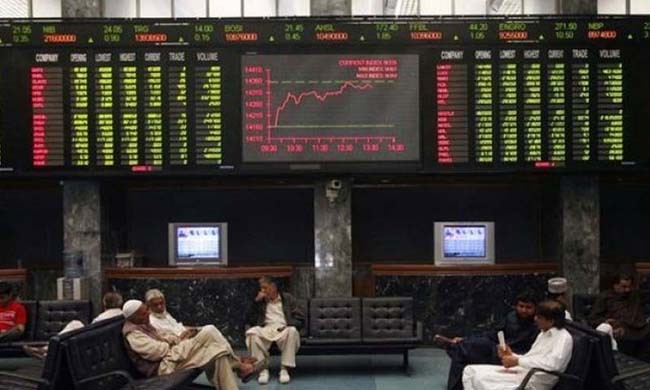 Stock market started in positive zone on Wednesday third day of business week and KSE 100 index saw 7 pounds increase however, there could not be stability in 100 index and soon the KSE 100 Index traded in the negative zone. While the report file, the KSE 100 index was trading at 37 thousand 295 points, with an increase of 86 points in the initial one hour, the index was recorded by 33 points. In the first half and an hour, the KSE 100 index got 14,195,020 shares, which is worth 753,503,212 in Pakistani rupees. Last week, the stock market started in a positive zone, but the market closed at 122,381 level by 122 points. While Shares bazaar traded in 338 companies across the day, shares of 140 companies increased and the shares of 175 companies were recorded. On the first day of business week, the stock market came to see burnt-ups on Monday. The business started from 37,452 points, but the index ended at 37504 on the end of the business. Last week, the stock market increased 550 points last Friday and the falling stock market got some stability.